About a year ago I wrote a piece about how and why voice acting in RPGs isn’t necessarily a good idea. In fact it’s often a pretty bad idea. In the wake of the instant megahit that is Fallout 4 making every single mistake I mentioned (and then some) with regards to the voice acting and the dialog system it’s tied to, and some general time to refine my perspective, I want to talk about it again. Fallout 4 is a great example of how and why voice acting an RPG can go so very wrong in so many ways, even with quality actors doing fine performances. I’m likely to focus on Fallout 4, but it’s far from the only game to make those mistakes, it’s just an easy target because it’s popular, new, and did so very poorly on that front. 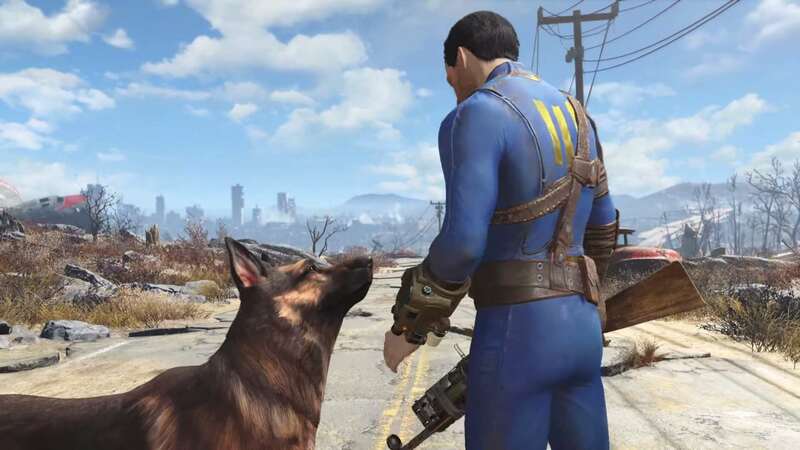 There will be spoilers for the plot of Fallout 4 and possibly a few older games. It’s necessary to illustrate my points. If you read past the end of this bolded paragraph, then get mad at me for spoiling a plot, you have nobody to blame but yourself. 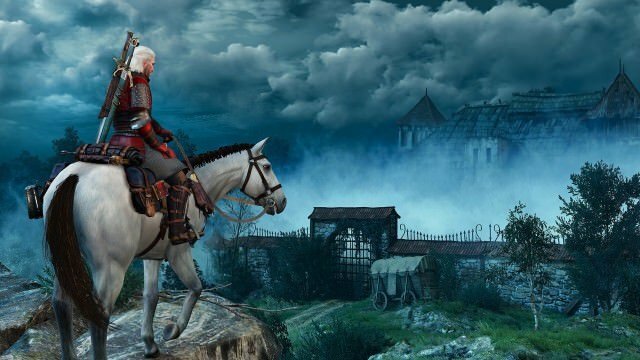 Perhaps the biggest problem, and the one I’ll be talking about, is especially common in (but not limited to) Open World games and with 2 aspects: The disconnect between the characters apparent emotions and their actions and the disconnect between the characters emotions and what the player expects them to be. As a reference, text only games are not immune to this, it’s just greatly amplified by voice acting where emotional influence is far more concrete. Now there are many examples in Fallout 4, but I’ll start with the earliest example. At the very beginning you watch your husband be murdered and child be stolen, exit the vault to discover that the world has basically ended and go to a nearby town looking for help. All fine and dandy. Then you start being shot at and are forced to kill a bunch of people, get into a small mech, break out a minigun and murder like 12 more people and a giant bipedal lizard with 9 inch long claws it uses to eviscerate people. Ignoring the absurdity of all that, does this desperate, grieving, very recently traumatized mother (it’s mere hours after her entire life was killed or stolen and just killed her first people) respond anything like a normal human under those circumstances? No, you range from concerned about the people you’re saving to downright mercenary (BTW, how do you know that Caps are currency?) Why? Because while the devs may expect you to do this first thing, they can’t make you, and reflecting the obvious weepy terrified mess that this ex-lawyer should be as I describe her doesn’t make sense if you’ve spent the last 6 in game months doing other things. The icing on this failure cake is that by skipping the voice acting, any of those same lines could be read by the player to much more closely match the characters circumstances. Dragon Age 2 has a similar problem if you play as a mage. So far as we know mage Hawke had never killed so much as a rabbit in their entire lives, and none of the dialog uses tone of voice to reflect the terrified mess I’d expect that version of Hawke to be. Why? Because unless they want to record everything 4+ times, they have the mage share most of the dialog with the rogue and warrior Hawke, who are experienced soldiers. Seriously, Fallout 4 spoilers, last warning. 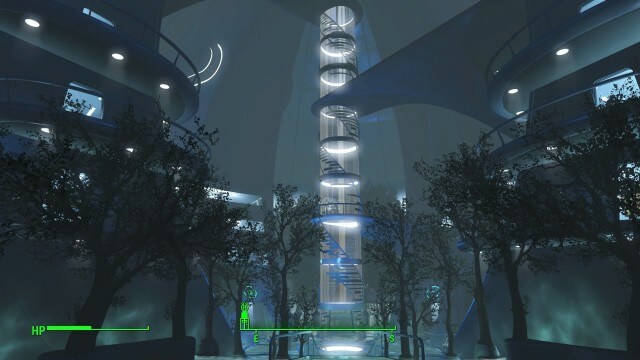 Later on you get into the Institute, and this problem plays out in reverse. You just found your son after the few weeks of desperate searching, you’re understandably emotional and all the dialog reflects this. Except what if you haven’t been searching? What if you’ve spent the last 6 in game months building (or raiding) random farms, stealing everything that isn’t nailed down, freeing slaves, making out with Cait and otherwise proving beyond a shadow of a doubt that you do not care about your missing infant? What if you’re not sad and just downright furious that the Institute continues to do things like wipe out University Point or keep obviously intelligent beings as slaves under Shaun’s leadership? Too bad, none of that is reflected in dialog. You can be sad/dissapointed or happy, nothing else. Removing the voice acting on it’s own certainly wouldn’t fix it, but it would make it better, and by not having voice acting (at least for the protagonist) it would be cheaper and easier to implement more of those options, and it could still collapse down to the 3 available options (join, join+betray, don’t join) and thus require no changes to the actual plot. Totalbiscuit likes to say game development isn’t a zero sum game, but it’s only technically true. There are shareholders and investors and publishers to please, each company has a finite about of money, a finite amount of time and a limit imposed on how much of either is available with or for any given resource by practicality concerns like productivity, the amount of money a game needs to make to profit (thus the amount needed to make enough profit to keep investors happy and cover operating costs) rising dramatically with dev time and the availability of the voice actors. The reality is, until we have computer programs doing all our voice acting, full voice acting eats a ton of time (thus money) and resources (more money) and imposes more limits (rooted in time and money or the bigwigs perception there of) on how many dialog options can be presented to the player and reacted to by the NPCs, quests and world in general. Either that or all RPG devs suddenly get lazy with full voice acting, which seems rather far fetched. I know these things, Obsidian knows these things, CD Project Red knows these things, even Bioware knows these things (though their success in avoiding the pitfalls varies in recent years.) It isn’t rocket science. I’d like to think I’m a smart guy and both know what I’m talking about and got my point across, but if you don’t believe me then replay and examine the story and dialog in Knights of the Old Republic, The Witcher, and Fallout New Vegas and compare them to Dragon Age 2, Dragon Age Inquisition and Fallout 4 directly. See the problems I’ve pointed out for yourself and see how clever sturcture and/or fixed characters and/or a lack of voice acting fixes, circumvents or lessens the magnitude of these problems. On the off chance you’re a dev reading this: stop making these mistakes. Fallout 4 can get away with it for being Fallout 4, but even it has taken some major criticism for it. You, whoever you are and whatever title you’re working on, probably can’t afford to. It (among other, admittedly not insignificant, things) butchered Dragon Age 2’s sales, and you don’t have that kind of fanbase. For everyone else: Stop asking for this crap. Stop buying RPGs that do it. I can say with relative confidence that experiencing shallow, crappy dialog in worlds that don’t react to the player is not why we play RPGs. Buy RPGs that do things properly. It isn’t a zero sum game either. We don’t have to settle for just isometric Kickstarter projects (not that they’re inferior, far from it, just that it shouldn’t be all we get,) New Vegas proves that even a horribly broken but but still highly reactive RPGs can be a mainstream success, and games like Borderlands and Dark Souls show that people are willing to learn how a bunch of complicated systems interact. We deserve more, and the mainstream market has room for it. We just have to convince publishers by making devs that listen a ton of money. If you do get suckered in by one, don’t write petty little metacritic reviews full of rage and hyperbole before giving it a 0/10. Nobody reads those, you just perpetuate the myth that proper RPG fans are whiny fanatics who hate everything released after 2002. Be thoughtful, be honest, use examples. Hopefully this is the last time I have to go on about this. 20 something years old, living in the western United States. I enjoy wrestling, jujitsu, snowboarding, manga, anime, movies, card games, board games, video games D&D, ect. Also food. Very nice, well thought and argued position. Much better than the drivel coming from another forum of more… vocal minorities. I would have much preferred a silent protagonist, if only to make it easier to feel right in your character’s skin. I agree totally with you. 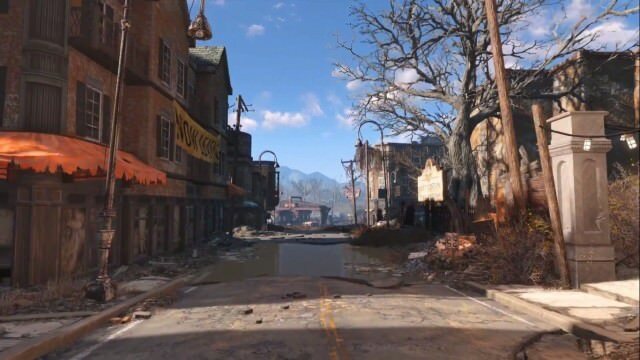 I kept my reservations about Fallout 4, and although it is fun, there are things that bother me the more I play it. Writing quality, emotional responses from characters, mood whiplash… Hopefully the DLC and eventually mods help alleviate some of these problems. I agree with the dialogue falling short, which is a shame because this game is really great. The crafting and exploration alone are keeping me still pretty invested over a month after release (I’ll get around to an article on that at some point). Really the only missteps I saw were the awkward voice acting and the disconnect between finding your son and doing everything else. One too many times, the voice acting took a vocal tone that just wasn’t reflecting how I was intending or feeling, and made me prefer the days of the dialogue boxes where I could take much more branching paths. I was an early defender of dialogue for the game and I still believe that it could be great, but maybe it needs way more recorded dialogue than the even impressive amount they did record. That would likely take a lot more time and push back releases. But it would give us branching paths that are varied in their choices and outcomes. I think that’s where the oddity of the dialogue is, because you are given the choices to do whatever and be whoever you want but the dialogue isn’t complete in its ability to express those choices. Had there been less choices for good bad or grey, the dialogue may have worked better. 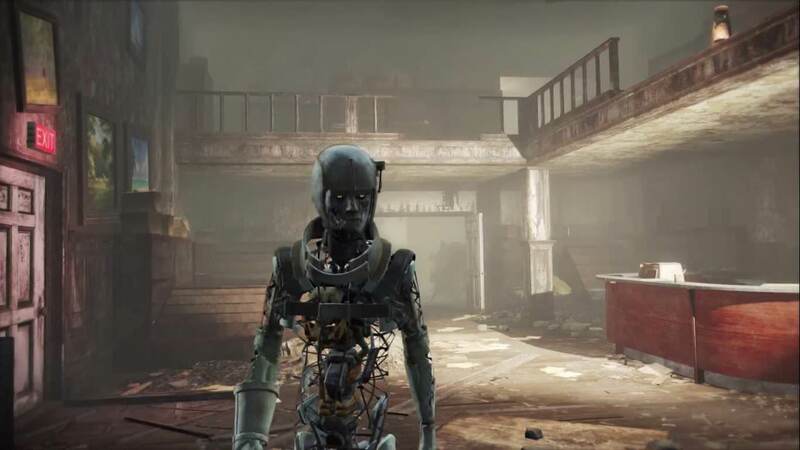 While I think voice acting could work in something like fallout, it would literally need to be the old system of dialogue except voiced instead. The fact that you don’t have the option to not give a fling about your son missing IMO is not the problem; it’s the construct of the whole established motivation as is in the first place. If you were the Courier, it’s okay to be literally ANYONE, psychologically. But since it is established that you are a loving family father/mother who is not experiencing nearly enough to justify suddenly losing all their affection, it would be even more bizarre to suddenly have the option of going "oh well, I decided I no longer care". I don’t agree. Fact is it could be months, even years, before you get to the institute. That’s plenty of time for emotions to die out. You could have seen al the harm the institute has done and have mroal outrage override everything else. You could have discovered he’s 10 and reached the conclusion I did, that even if I could take him back it would be cruel beyond all reason to tear him away from everything he’s ever known and loved. Honestly you could have not cared all that much to begin with, or have felt trapped in your old life and now you’re free. It’s sad but it’s also known to happen. Since you brought it up, and because it’s important to a point I’m loath to make but is true regardless, the beginning of FO3/FO4/FONV is basically the same (life destroyed, go find thing responsible) but NV is extremely clever in eliminating almost all the conflicts for any type of player by having every major faction and a potential personal quest (revenge) all advance independently (ie you aren’t forced to care about 1 centeral plot to advance the faction story) *and* all intersect at that same spot necessary to move the overall plot forward. Every type of character you’re allowed to be (except the type who were never going to advance the plot anyways) has a reason to end up in the Tops. This is simply not true of Fallout 4, which is a fundamental structural flaw and the source of many of the games conflicts between the character as they’ve been defined and any given moment of dialog during the main story. There’s just no way to act in character. That isn’t just a clever thing that works for NV, it’s *the* way to handle narrative in games like Fallout and even with the best possible execution it simply doesn’t work as well with voiced characters. As much as I hate the fixed background (and I do, for a lot of reasons) the whole "find my kid" thing could have worked (provided the garbage dialog decided to play ball,) in exactly the same context the "get revenge" thing worked in NV. A (perfectly reasonable) option among several to ultimately get to the institute and discover his fate, instead of being the core thread required to advance the (completely unrelated) faction stories. That way, if you choose to give up partway through or just not care to begin with, you still end up advancing the plot. I didn’t articulate my specific gripe properly then. What I mean is, that the way each dialogue in the main plot is constructed does in my impression not leave room for either of those variables you just mentioned to reasonably have taken place. To me, it felt like the game was -for some bizarre reason given what we’re talking about here- 100% convinced I was canonballing through the main plot the second I stepped out of the Vault. The only point in the plot that felt like it intentionally wanted to pass more time than maybe a few hours, was when you were supposed to gather rare materials for the teleportation machine; all of which I happened to have on me already, so there. If you decided that your character was secretly never attached to their son, then the entire plot makes no sense from the first second. Oh, well yeah. That’s not even a structural thing, that’s just the dialog/dialog system being crap. (tieing all the faction progression to your advancement through the plot is a structural issue, but that’s not a problem with Voice Acting.) Suddenly not caring wouldn’t make sense if you did it that way, but I didn’t (and neither did anybody else I know) which is why not having the option doesn’t make sense. It’s not that a character may be disjointed, any half decent cRPG will let you create a horribly inconsistent character, it’s that every character except one who cares deeply (/never gave up/isn’t mad/whatever) and plowed the main quest is automatically inconsistent. The alternatives should be present specifically to allow those characters to exist. I didn’t read the article because I just started playing Fallout 4 yesterday and want to avoid spoilers. That said, I had to use some Psycho to defeat the Deathclaw at the beginning of the game, and the reaction was hilarious. I’ll return to this article after finishing the game. In the meantime, I am sold short-term on the voice acting from this one experience. It’s just too funny. The problem is not that voiced games are worse than those with silent protagonists or those with written dialogue. The problem is how expensive it is to acquire competent voice actors, the terrible business that surrounds them and the disconnect between the dev team and writing in the creative process. You can see how voice acting works great in more narrative driven games such as Heavy Rain, but when you allow a player to do whatever they want then the voice acting can become pretty terrible when a player does a certain set of actions only to be met with an awkward tone that was intended to deliver a plot point that disregards the players actions. I….didn’t say they were? That’s a really short version of the the point I was making. Or are you responding to PhDChaos? It isn’t a problem that can be fixed either. Bioware is as close as it gets, and it involves almost every line being devoid of normal human emotions (to prevent conflicting tones) and only works (if you can call it that, I’d go so far as to suggest they’d still be better games without it) because they have you playing a more or less fixed character. Just speaking my opinion, no real reason for it, i see the parallels in your points and mine, i just disagree with the presentation and the way in which you basically asked people not to buy games you felt were betraying some set of values of quality game making. I love Fallout 4, it’s flawed and it seems to have little innovation, but I’ve gotten my 60$ investment out of it easily. I don’t know about Dragon Age II or beyond, but the problems with Bioware games goes far beyond the voice acting and i quit making the mistake of wasting money on their games when it’s clear i wasn’t ever going to get another Dragon Age Origins or Mass Effect I out of them again, they went for serialized gaming narratives like morning TV dramas, it’s nothing that can entertain me any longer. The problem can be fixed, it requires a shift in focus. For instance Bloodborne has voice acting and it works beautifully, it’s done with close direction and dialogue reacts to player choices appropriately. Voice acting isn’t bad, we just need less of it and more quality, unless you have a game made by David Cage, where the game is basically a movie. I never said it was bad. I specifically state that it isn’t bad. That doesn’t change that in RPGs that involve a lot of choice it never works (for the protagonist.) It can’t be fixed, it’s a fundamental time/money limit. Maybe tech will fix it eventually, but there is simply no way to reconsile all the player choice in that type of game (both in actions and RP) with the limited time and budget to record. It’s not some abstract idea. The only language publishers seem to speak is money. Stop buying shallow "rpgs" with terrible dialogue, they’ll stop making them. It’s not about getting your moneys worth out of it, it’s about taking some responsibility for incentivising the creation of games you want to see. The only way to get more of those games made is to support them, and to make it clear that companies that stray from the path (Bioware) will no longer get our money. We can complain all we want, if we still pay them they’ll keep making the shallow experiences and just not care. Why do you think Assassins Creed is still around? I get your point. But i feel like you are advocating boycott of these games because you feel they are lower quality. There is a difference between that and just not supporting something you don’t agree with. I agree that voice acting is handled poorly, but i’m not boycotting games with voiced protagonists. I’m going to buy games i want to play, even though i think Fallout 4 could have been done better, i enjoy it immensely for what it is, i’m not going to not buy it just because it was done with lower quality than people might have wanted. It’s a matter of presentation and proposed solution, not the context i disagree with. I detailed which specific type of RPG I’m refering to and why voice acted protagonists in them is a problem. Either it’s a huge coincide that all those types of RPGs have their soul sucked out by voice acted protagonists, or voice acted protagonists are the cause. There is no other solution, game companies have repeatedly demonstrated a willingness to ignore any and all complaints so long as they’re paid. The only way to change anything is to make listening more profitable than ignoring, and the only way to do that is to stop supporting the ones that don’t and start supporting the ones that do. People have been complaining about AC for 5 years, but Ubisoft doesn’t care cus people still buy it. People have been complaining about CoD reskins for years and Activision didn’t start caring until sales dropped. People have been complaining about Origin since launch, EA doesn’t care cus people still use it. You want them to listen? Make others who do rich and stop paying for their stuff. They start listening real quick when sales drop by 20% and other peoples profits go up. You’re free to buy whatever games you want, but that doesn’t mean you aren’t actively supporting a trend that creates inferior products. Nobody cares if you say you don’t support it as you fork over your money anyways. Not me, not Bethesda, not EA. You bought it, you support it with your money, that’s the only support they need and the only support that matters to the people making the decisions. That spoiler alert was so serious lol. I’ll definitely read this article once I’ve completed the game at least once. People like to not read warnings, or take them lightly, then get mad when the thing they were warned about happens. FO4 is a recent game, risk of butthurt over spoilers is higher, and I don’t want to deal with it. If you’re past Instutionalized, you’re fine. I don’t talk about anything past that. I expected the protagonist to at least start crying once, but hell. What is crying? What is shouting? The male protagonist does some shouting here and there, but… I don’t know. It doesn’t seem he’s in a post-apocalyptic environment getting eaten by Deathclaws and stinged by bloodbugs and such. "I find who did this, and I’ll find Shaun. I promise." That’s not the exact line, because it was too terrible to remember. Back to the day when Isaac Clarke was going to have a voice in Dead Space 2, I was so happy. But that happiness turned to ashes with Dead Space 3. 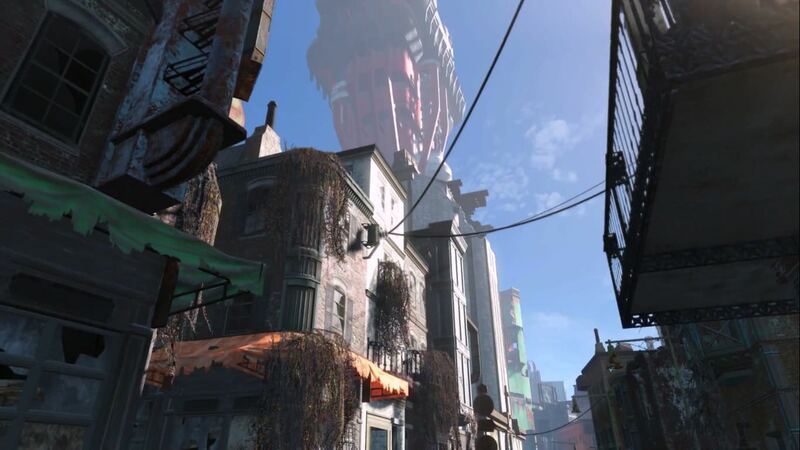 Fallout 4 jumped straight into what happened with Dead Space 3. The best dialog I heard from the main protagonist in Fallout 4 was "Better to *^&% some $%#^ up." in the trailer. But, it has its good moments. Like when you confront Kellog. I think that FO4 is great for the most part, but the RPG elements, especially dialogue, are a complete snore. I wonder if Bethsoft realizes the potential they wasted. So they probably at least have an idea, but based on every game since Morrowind it seems unlikely that they see the same missed potential I do and will go the other direction.